From our main office centrally located in Daytona Beach, we have represented the interests of clients in the state and federal courts of every metropolitan area and judicial circuit in Florida. Our attorneys have argued appeals in all five Florida appeal court districts, in the United States Court of Appeals for the Eleventh Circuit, and in the United States Supreme Court. Outside Florida, we have appeared as lead counsel in cases pending in the courts of Arizona, California, Colorado, the District of Columbia, Maryland, Ohio, Pennsylvania, Texas, Kentucky and Virginia. 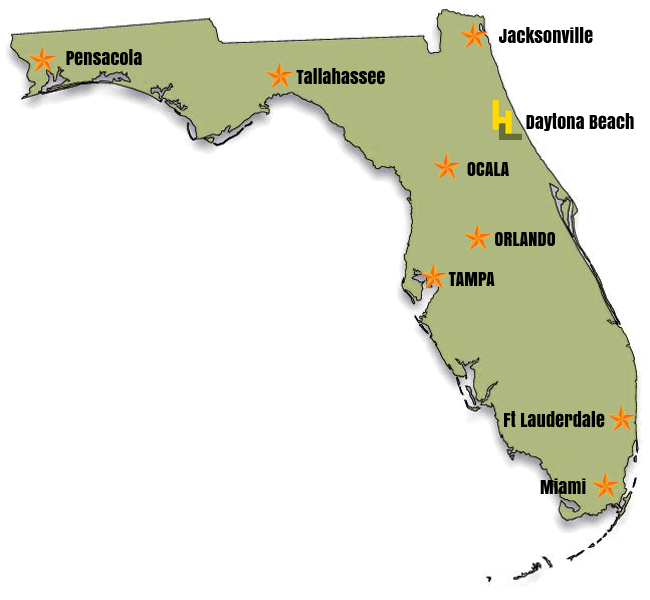 In addition to state bar admissions, our attorneys are admitted to practice in the United States District Courts of the Northern, Middle and Southern Districts of Florida.